Announcing our 2018 Junior finalists! Over the last few weeks, the South West’s young cooks have been taking over the kitchens at the region’s catering colleges in a bid to become the top young cooks in their own counties. Judges have been astounded by the level of skill among the young cooks aged 11-16, frequently agreeing that they were not able to prepare such ambitious dishes themselves at the same age – a comment echoed throughout each of the county finals. We are certainly anticipating a thrilling South West final in October! One young cook in each of the six counties was selected by our judges as the winner of their county title thus earning their place in the overall final. In addition to this, each winner will also spend time in the kitchen of one of the judges to help them develop their skills and confidence, to provide them with valuable experience of a working kitchen and to help them tweak and prepare their dish for the final. We are extremely grateful to all of the county judges who give up their time so generously to judge the competition and provide helpful feedback to all competitors and particularly to those who support the finalists through the mentoring process. Thank you also, to the catering colleges who kindly host the county finals, offering the young cooks a taster of life as a catering student. 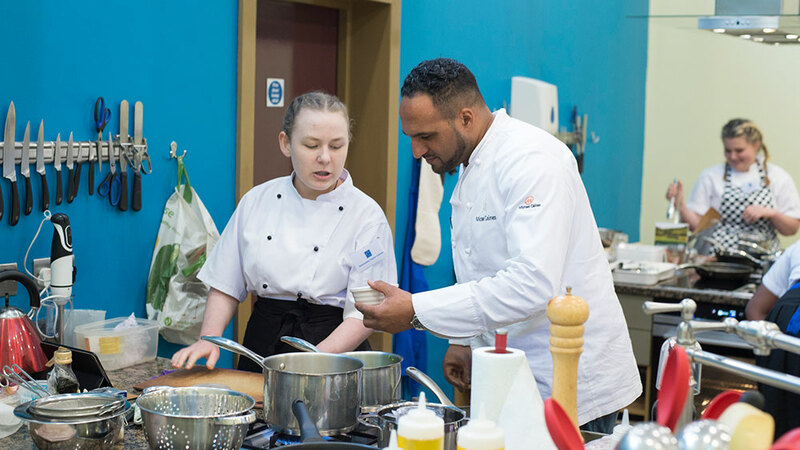 For the first time this year, we are delighted that each of the South West finalists will also be offered the opportunity to compete in the regional finals of the Springboard FutureChef competition, bypassing the local finals, thanks to a partnership we have established with Springboard UK. Well done to all who took part in the county finals and many congratulations to the winners (outlined below) who will now meet at the South West final on Saturday 6th October at Ashburton Cookery School. Thank you very much to Michael Caines MBE and Lympstone Manor, sponsors of the Junior Chef category.